The Bulgarian Financial Supervision Commission - FSC announced that it has allowed Vienna Insurance Group (VIG) to increase its direct shareholding in Bulstrad Vienna Insurance Group, following the liquidation of its fully-owned subsidiary TBI Bulgaria. The Croatian insurance market totaled after the first three quarters of 2018 GWP worth EUR 1.02 billion, 10.8% up y-o-y. Paid claims have increased y-o-y by 13%, to EUR 539.7 million. Top 3 insurers account together for over 52% of the market GWP. Swiss Re reported a Group net income of USD 1.1 billion for 3Q2018 compared to a loss of USD 468 million for the same period a year ago, despite an estimated claims burden of USD 1.6 billion from natural catastrophes and large man-made events in the reporting period. 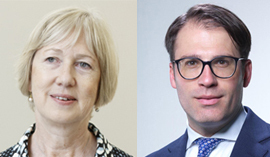 The German government is reportedly working on two emergency laws to protect cross-border insurance agreements and derivatives contracts in anticipation of a fast-approaching Brexit in March 2019. Lloyd's has confirmed its subsidiary in Brussels will write all non-life risks from EEA countries from 1 January 2019, enabling partners and policyholders to retain access to the underwriting expertise of the Lloyd's market. 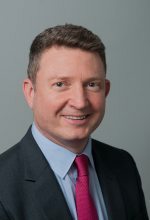 American International Group announced that its European subsidiary, AIG Europe Limited (AEL) has received approval from the High Court of England & Wales to transfer its business to two new entities: American International Group UK Limited (AIG UK) and AIG Europe SA (AESA) in preparation for the UK's exit from the European Union. In its final loss estimate for Extratropical Cyclone Herwart, which primarily affected Austria and Germany on 29 October 2017, PERILS said the insured property market loss, based on loss data collected from affected insurers, is EUR 264 million. Deal value for global insurance M&A reached EUR 37 billion in the first six months of 2018, driven by a slew of mega-deals which pushed value to its highest first-half total since the financial crisis, according to a new report from Willis Towers Watson and Mergermarket. As of November 1, 2018, AXA - Global Healthcare customers will have access to the "Global Care on Demand" service, a virtual doctor developed by Advance Medical, offering simple and flexible health services for globally mobile individual and SME customers. The insurance industry is known for having traditional structures with many legacy systems in place. As technology develops and globalization charges on, digital solutions become more important but fewer than one third of insurers report success in transforming business practices. Based on 3Q2018 results, GWP of the market exceeded AMD 30.5 billion, according to insurers' reports compiled by the information portal ArmInfo. The market y-o-y growth rate was of 24.27%. For 9 months this year the Azeri market generated GWP up by 37.21% y-o-y, thus overcoming the figure of the last full year of AZN 500 million (AZN 568.54 million), as the data, published by the Financial Market Supervisory Authority of Azerbaijan (FIMSA) show. On January 1, 2019 in Georgia the article 5 of the law "On work safety" will come into force; based on it employers will be obliged at their expense to provide employees with industrial accident insurance. 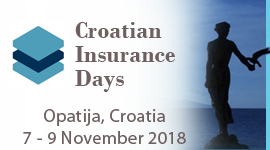 This year's edition of the Croatian Insurance Days is expected to bring together more than three hundred participants, thus making the event the largest annual gathering of Croatian insurance professionals. In the globalized world of business, legal harmonization between different jurisdiction, as well as well-balanced powers of the supervisory bodies are more important than ever. The rapid technological advances are posing additional pressure on supervisors to cope with the avalanche of novelties, both in terms of the new business models evolving in the global insurance industry and new risks that insurers are confronted with. After two years totally opposed in terms of NatCat events and costs related to (2017-2018), the reinsurance industry is still attractive, despite all the challenges. 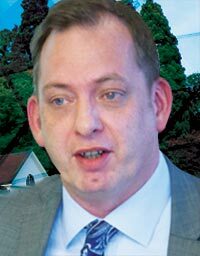 "2017 has been a record year in terms of NatCat loss activity for the entire industry and still the impact on the reinsurance terms and conditions has been modest, that's clearly what one can conclude. Becoming a growing threat globally, cyber risks is both a challenge and an opportunity for the insurance industry. MUNICH Re's representatives talked to XPRIMM TV in Baden Baden, about the different approach to this type of risk that the Group, as one of the most active players on the cyber market solutions, proposes.